This is the most hated fungus infection as it is very difficult to hide the infected fingernail from others and also contagious. The affected nail will be thicker than the normal one and the color will be either yellow or brown [at times black]. 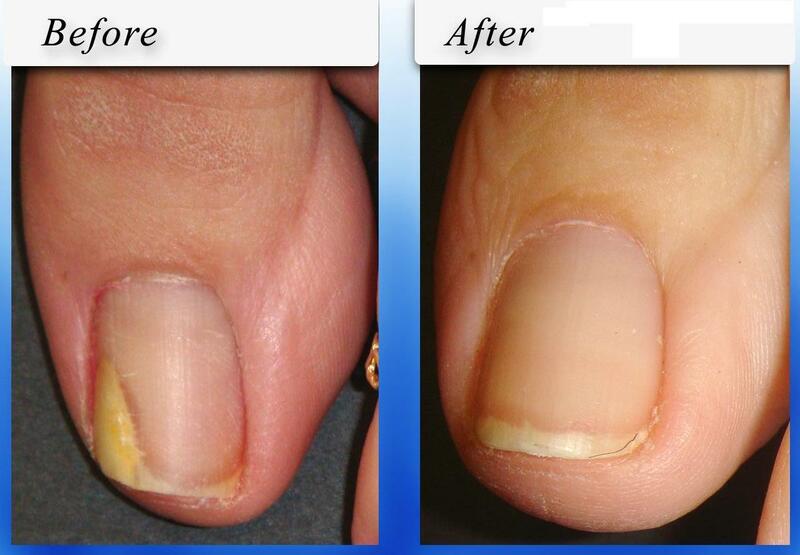 The fungus can also affect the nail bed and there can be inflammation and pain. The major cause of infection is drop in immunity [AIDS, old age] and the factors that favor fungal multiplication such as wet hand, tight fitting gloves. The home remedies for fingernail fungus infection are the best and let us discuss about it here. Home remedies for fingernail fungus infection has popularly been in use for so many years. The reasons are many. One of the main reasons is that fingernail infection is not a new disease. It is in existence for more than thousand years. Our ancestors practiced home remedies for fingernail fungus, as the science was not developed as it had developed now. Besides the drugs that are used now days cause various side effects and are expensive as well. One of the popular home remedy is soaking the finger nail infected in a solution that can kill the fungus that cause the discoloration, thickening and disfiguration etc. The solutions that are used most often for this purpose are diluted vinegar, bleaching powder, and hydrogen peroxide. Generally the soaking has to be continued till the fungus infection is cleared in total which may take few weeks or even few months. In case quick results are expected thinning of the affected finger nail may be tried which will facilitate more absorption of the killer [fungus] solution. Tea tree oil is one of the most popular home remedy for fingernail fungus. This oil is extracted from the stem and leaves of the tea tree of Australia. This tea tree oils is scientifically proven for its amazing antifungal properties. This tea tree oil can be directly applied over the infected finger nail. This tea tree oil can penetrate the finger nail better than any other oil and banish the fungus there by curing the condition. Tea tree oil is available in the pure form or in the blended form with other ingredients. There is yet another effective home remedy for fingernail fungus is available in the form of antifungal mud [saprox] and this mud is from Czech Republic. Like the tea tree oil this mud also can be applied over the discolored fingernail. The effect of this mud is enhanced if the soaking of the fingernail with any one of the solutions such as hydrogen peroxide, bleaching powder is combined.